More content from Victor Beltran coming soon! 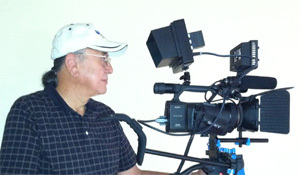 Victor Beltran Productions is a professional video production group located in the Pittsburgh, Western Pennsylvania. The Victor Beltran crew specializes in customized video production and editing to meet the unique needs of each special client. Our services include shooting, editing, motion graphics and production editing ready for the web, broadcast, DVD or Blu-Ray.